Action Figure Insider » COMIC-CON’S MUST-HAVE ACCESSORY IS BACK AND BETTER THAN EVER! BURBANK, Calif. (July 9, 2012)— Warner Bros. Entertainment will again sponsor the official bag of Comic-Con International: San Diego 2012, the Studio announced today. By joining forces with Comic-Con for the third consecutive year, Warner Bros. will give each fan attending the Con an unforgettable keepsake from the world’s leading pop culture convention. 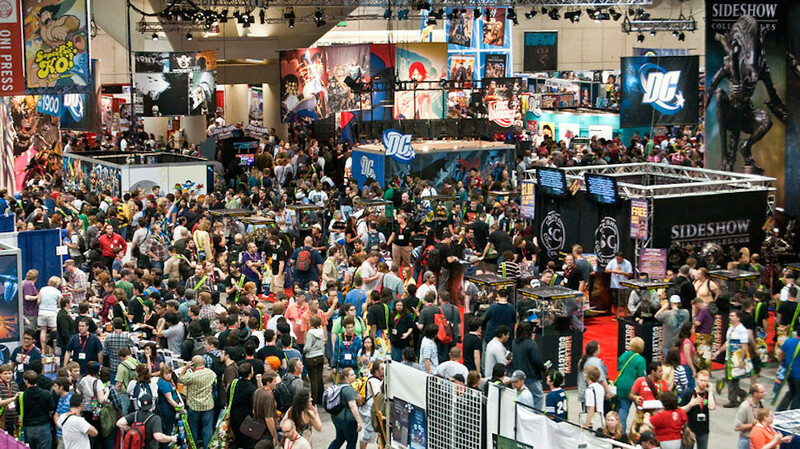 Over 130,000 of the oversized 24”x29” bags — which have been called Comic-Con’s “ubiquitous accessory” by Entertainment Weekly and “a must have” by Deadline Hollywood — have been produced and will be provided to Comic-Con attendees as they check in to the convention. The 2012 edition will be a messenger-style bag with shoulder strap and, of course, a poster-protecting pocket. Designed by Warner Bros. Worldwide Television Marketing, the bags feature double-sided artwork. Each will have the all-new Comic-Con 2012 official design on one side, with the other highlighting Warner Bros. titles, including TV series — live-action and animated — from Warner Bros. Television and Warner Bros. Animation, and upcoming theatrical features from Warner Bros. Pictures. For continuing info on the Studio’s plans at Comic-Con, please visit www.thewb.com/comiccon and follow us on Twitter @TheWBdotcom (hashtag #WBSDCC). For official information about Comic-Con 2012, visit www.comic-con.org and follow Comic-Con on Twitter @Comic_Con. Created annually since 2006 by the Warner Bros. Worldwide Television Marketing unit specifically for Comic-Con, the highly sought-after totes provide devoted fans with a handy carrying case for all the merchandise they take away from the Con — and serve as mobile billboards for a selection of the Studio’s key Comic-Con titles.